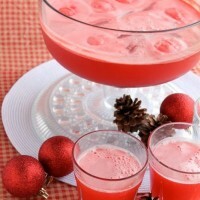 Crimson Christmas Punch - Dessert Now, Dinner Later! For me, there is really only one time of year that I drink my calories. I am just not a milk, soda, or juice drinker. I like my zero calorie water, but when the holidays come around, I want a special drink, & I want it to be good! 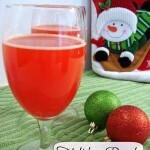 This Crimson Christmas Punch is pretty darn good! It’s got a myriad of tropical, fruity flavors all packed into one punch. The sherbet makes it all foamy & delicious too! 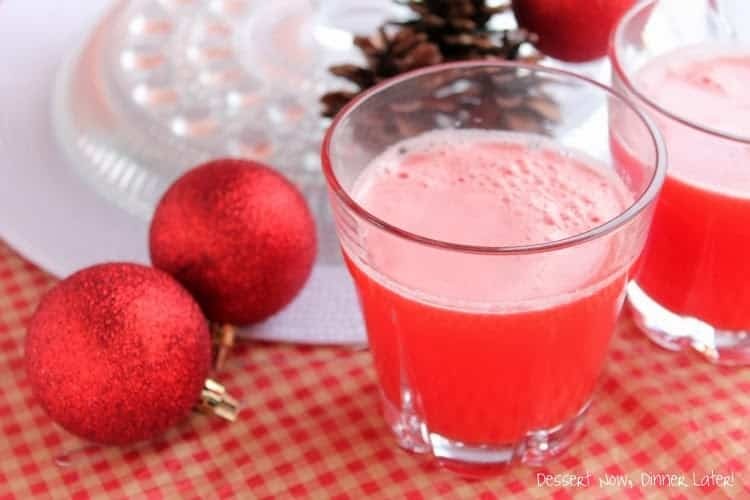 This punch is a beautiful shade of red, so it’s perfect to serve for Christmas parties. Plus, it’s non-alcoholic, so the whole family can enjoy it! Happy Holidays! Make sure all ingredients are chilled. Combine all juices into a large punch bowl. Add ginger all slowly to keep as much fizz as possible. 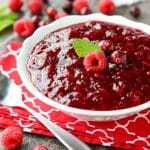 Add scoops of raspberry sherbet & let sit for a few minutes. Serve with a ladle. I LOVE your combination of flavors. We normally just do lime sherbet and sprite. This is way more creative. Excited to try it out this year! 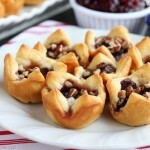 Sounds delicious and so festive!! Pinned! 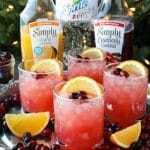 what is the tropical punch? 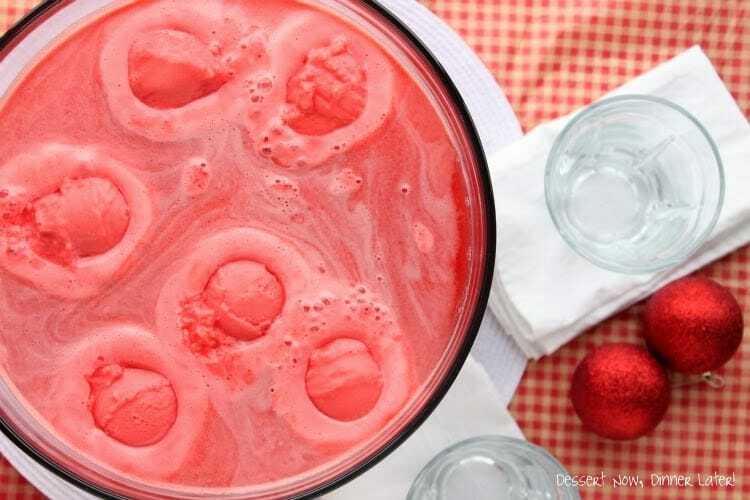 Is it the frozen canned drink that you typically add three cups of water too? Yeah, you can use the frozen concentrate that you re-constitute or they sell some already made in bottles in the juice aisle. how many does this drink serve? It makes about 1 gallon of punch. So roughly 16 servings.